Rugby Tonight - Timeline Television Ltd.
Rugby Tonight was the UK’s first regular studio-based UHD programme. 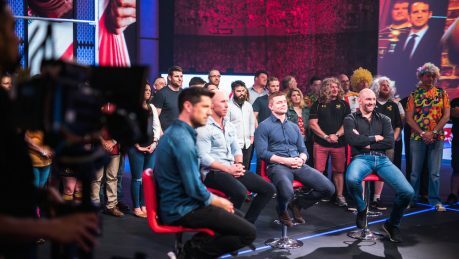 Craig Doyle, Martin Bayfield and Sarra Elgan present BT Sport’s live rugby magazine show, which airs on Wednesday evenings at 8pm from September to May. It is a show that sets out both to entertain and to inform while being jam-packed full of reviews and previews with all the best of the action and headline stories from the Aviva Premiership, as well as the European Champions Cup and Challenge Cup. 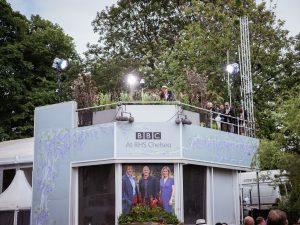 The show is filmed in front of a live studio audience of up to 200 people, with local rugby clubs taking part in demonstrations of play on the studio pitch. Celebrities and talented guests take part in studio challenges and there is plenty of fun and banter throughout. Rugby Tonight takes an informal yet highly informative look at the game. 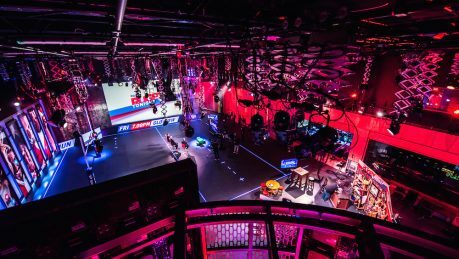 BT Sport designed and built a state-of-the-art production and studio hub with Timeline Television back in 2013. 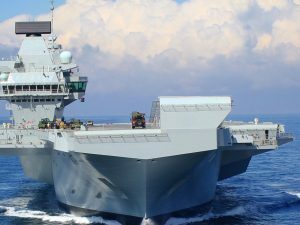 Since then, the technology to produce television programmes in UHD has really started to mature. 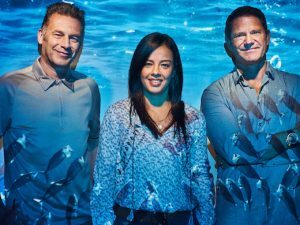 BT Sport’s 4K UHD channel has been on air for over a year, broadcasting UK location-based sport as well as, from Europe, the UEFA Champions League and UEFA Europa League. BT Sport made the decision to use Timeline’s UHD 4K OB Truck to broadcast Rugby Tonight in UHD this season. Integrating the 4K UHD OB unit into the studios involves joining the camera, graphics and media networks. The talkback systems are meshed along with the audio mixing desks. The production team expects the sound and vision feeds that would be provided in a studio gallery. This has been achieved by designing the 4K UHD OB Truck with the BT Sport studio compatibility in mind. Both environments use Riedel Talkback, Calrec sound desks, SAM routers and Sony camera systems. This same dark fibre system can be used to link the truck into the BT Sport studio from any of the five venues in the Olympic park, including West Ham’s new home, London Stadium.